Mid-century modernist architect Anatol Kagan (1913-2009) began his childhood in Revolutionary Russia, his young adulthood in Nazi Germany and his architectural career in London. Arriving in Melbourne in 1939, he had already crowded the experience of three lifetimes into his first 25 years. Jewish by race, agnostic by faith and Socialist by politics, this distinctive New Australian spent a decade establishing himself in his adopted homeland, working for leading architects and government departments before starting his own practice in 1949. 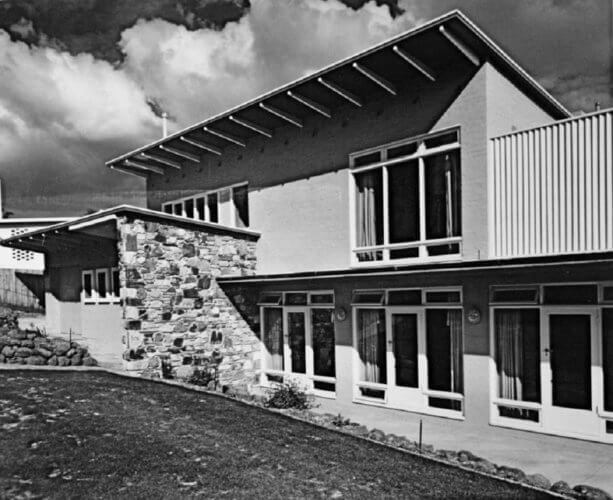 While Kagan rose to become the pre-eminent architect to Melbourne’s thriving post-war migrant community, well-known for luxurious modernist houses for rich Jewish businessmen, his sudden withdrawal from private practice in 1961 was a mystery to many. Re-emerging in Sydney, he embraced a strikingly different but no less successful career in the Department of Public Works. Yet one more lifetime still remained: a remarkable retirement spanning thirty years, during which Kagan indulged many varied interests beyond architecture – but with one final design project that, harking back to his Russian birthplace, brought the nine lives of Anatol Kagan full circle. Drawing from Kagan’s own reminiscences and extensive personal archive, and interviews with family, colleagues and clients, architectural historian Simon Reeves vividly reconstructs the multi-layered life journey of a man who has been described both as ‘the enigmatic Anatol Kagan’ and ‘the gentle socialist who dreamt of a better world’.